Capsol’s Cape Town holiday homes are designed to make your stay in the city a luxurious one. The addition of a deluxe Jacuzzi will give your Cape vacation experience an instant upgrade! We’re going to give you a peek at 5 of our favourite luxury villas in Cape Town, each with their own state-of-the-art hot tub. You’ll soon see why you should insist on a holiday rental that includes a Jacuzzi. 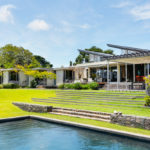 Throughout the most glamorous suburbs of Cape Town, holiday homes provide guests with all the executive essentials associated with VIP vacations. Jacuzzis are one of the most popular “must-have” accessories in the homes of the rich and famous, and they are known for their mystical relaxation and rejuvenation powers. An indoor private Jacuzzi will turn the coldest Cape winter night into a hot and steamy soak session. And if you’re looking to indulge in the bubbles, there are so many benefits of using one – improved sleep, less muscle pain, better circulation and reduced stress! Of course, Jacuzzis aren’t just great for your health. There’s nothing like enjoying a golden Atlantic Seaboard sunset with some chilled wine in a bubbly tub! That’s why so many luxury villas in Cape Town come with pristine Jacuzzi features – it’s a level of luxury our travellers have come to expect. Book your place at any of these 5 premium villas, don your swimsuit and pop a bottle of champagne. Your most exciting vacation yet is about to begin! 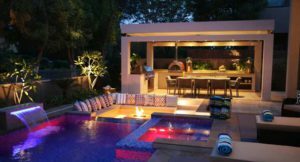 The De Wet Road villa in Bantry Bay has an outdoor Jacuzzi and swimming pool, surrounded by sun loungers and a casual seating area. The Jacuzzi is a great spot to work on your tan and take in the sea view, or heat up after a refreshing dip in the pool. The outdoor entertainment areas at De Wet Road also include gas braai facilities and an al-fresco dining space, for sumptuous summer meals. There’s plenty of fun to be had indoors as well, with a pool table, a bar and a home cinema. 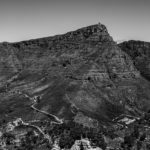 De Wet Road is located in one of the most exclusive neighbourhoods in Cape Town. Holiday homes in Bantry Bay are known for their opulence, and with the added luxury of a hot tub, you’ll feel like you never want to leave. This unique villa sleeps 8 guests. At Alexandra Villa, you’ll find an elevated Jacuzzi perched above an enormous heated swimming pool. This gives you the kind of view that only a select few Cape Town holiday homes can offer. Host an unforgettable summer party in this 12 person villa, or relax in a hot tub that boasts a panoramic Atlantic Ocean view. Each one of the 6 bedrooms includes an en-suite spa bath, for guests wanting a more private soak. Other highlights of Alexandra Villa’s interior include a soundproof 15 seat cinema, an indoor pond, and a grand piano. 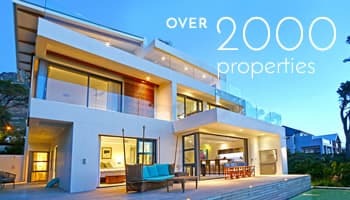 This is one of our top Cape Town holiday homes, located in the prestigious Fresnaye suburb. The magnificent Spa Villa in Hout Bay has a swimming pool and kiddies’ pool, as well as an ample indoor Jacuzzi. Submerge yourself and enjoy these tranquil mountainside surroundings. Of all the Cape Town holiday homes on our list, there are a special few that offer you what Spa Villa does. This expansive holiday villa also provides a number of spa facilities, including a sauna, salt bath and steam massage room. An indulgent getaway experience, fit for the water-lover! Spa Villa is a 3 bedroom property that accommodates 6 people. 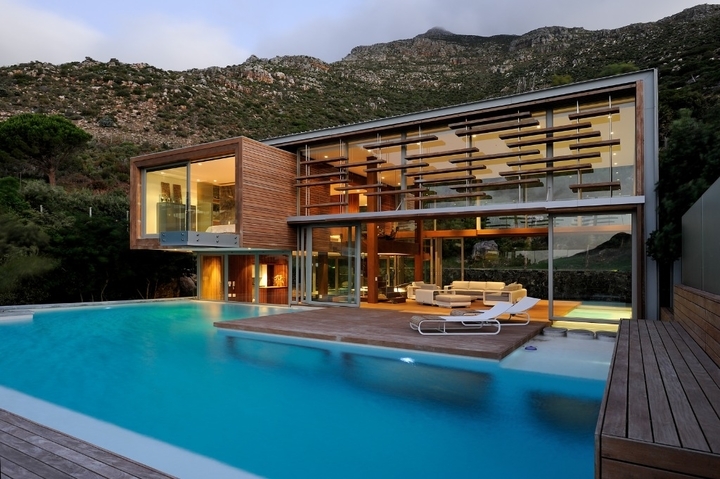 Treat your friends or family to something special in one of Hout Bay’s most exclusive Cape Town holiday homes. The Sense of Peace villa is one of our trendiest Cape Town holiday homes, close to the buzz of Camps Bay. The spacious Jacuzzi is outdoors on a sultry sun deck, overlooking the reflective sea. 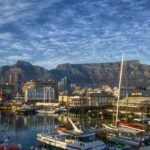 Camps Bay and Clifton are key areas where you’ll find some of Cape Town’s most captivating sunsets, according to Getaway Magazine. Why not enjoy these perfect views from a frothy Jacuzzi in one of the finest local Cape Town holiday homes in the region? The deck area also includes a 22m L-shaped swimming pool, built around the perimeter of the villa. There’s an outdoor shower too, so your guests can rinse off after the beach and hop right into the hot tub. The Picasso Villa in Camps Bay paints a scene of pure luxury. 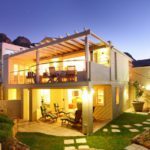 Even in the priciest neighbourhoods of Cape Town, holiday homes like this are one in a million – rare gems that crown the Mother City. This 3 level villa has a massive penthouse hot tub out on the top floor balcony. With wrap-around sea views, you’ll want to stay there long after the stars come out. Just light some candles! Picasso features an elegant cocktail bar area, where you can fix your favourite drinks as you soak. There’s also a beautiful indoor Jacuzzi on the 2nd level in the master bedroom, inviting a touch of romance to your suite. 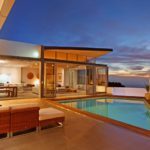 This roomy contemporary villa features an intimate “VIP lounge” area on the mezzanine level, and – a self-contained cottage unit for guests who want extra privacy. Picasso is one of those Cape Town holiday homes guaranteed to make you the envy of the neighbourhood. The property has a total of 5 lavish bedrooms, and can accommodate 10 distinguished guests. The luxury Jacuzzi isn’t just a passing trend – it’s a classic lifestyle accessory that has the potential to transform a stressful holiday into vacation bliss. These 5 inspiring villas were created for people that want the best that life has to offer, is that you? If water, romance, relaxation and friends are what make your heart leap, these villas are for you. Have any of these Cape Town holiday homes sparked a longing to hop into the water? Browse our full selection of luxury holiday villas here – there’s a Jacuzzi with a 5 star view out there just waiting to welcome you home! Kerry is a veteran in the Holiday Villa industry, haven started in Travel and Tourism over 20 years ago. With her passion and extensive knowledge of Villa rentals, she leads the elite team of consultants at Capsol. In addition to being a coffee addict and cat lover, she also a rookie gardener and table top gamer.